Many congratulations to these winners! 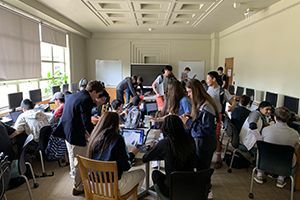 Congratulations are also extended to CK Debate Team officers Aashray Khanna, Hye Jin Kang, Justin Luo, Harry Ren, and Derrick Zhen—as well as the host of student judges and volunteers—who made this event such a success. 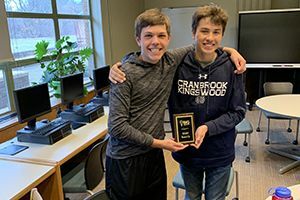 Last weekend was another busy one for the team, as two debate duos traveled to Chicago to participate in the National Debate Coaches Association (NDCA) National Championship, an event that brings together the best debate teams from across the country. As usual, the CK Debate teams performed exceptionally. 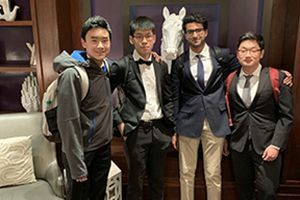 Duo Harry Ren and Derrick Zhen made it into the “Top Ten” teams by the event’s end, and duo Aashray Khanna and Justin Luo placed in the quarterfinals. 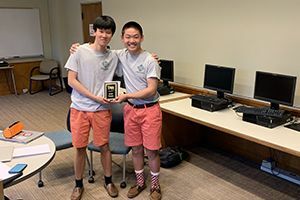 Justin Luo was also awarded the impressive Third Place Best Speaker Award, and Khanna was recognized as the Championship Debater for the entire tournament. These are impressive accomplishments for each member of CK Debate. We wish the teams well as they prepare to travel to Lexington, Kentucky for the Tournament of Champions in a few weeks' time! Preparations for the event in full swing!